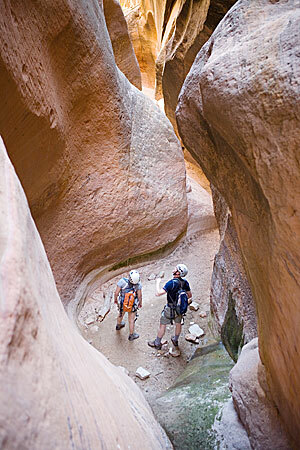 This page feature photographs of Canyoneering Routes outside the boundaries of Zion National Park. 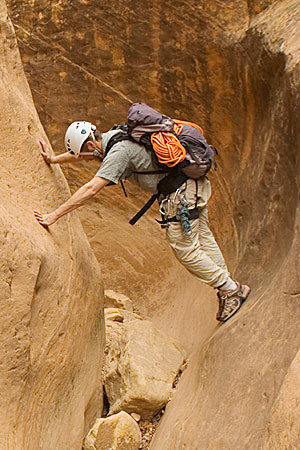 True technical canyoneering routes have specific qualities, mandatory rappels, slot sections, and no retreat characteristics. Ropes, harnesses, and helmets are standard. 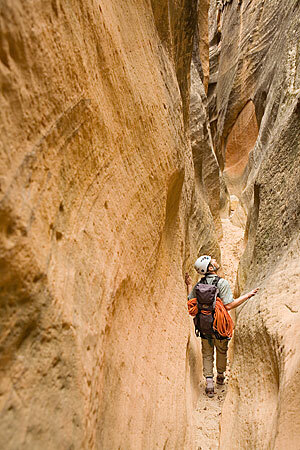 Each route has it’s own set of logistics, entry points and exit points commonly separated by vertical rock. 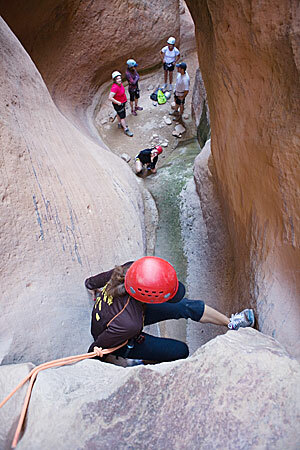 These qualities make canyoneering a unique and interactive experience that is surprisingly accessible to a very wide range of participants. 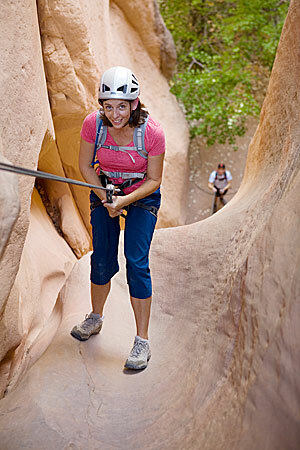 It should be noted that canyoneering in not the pursuit for rappels, they only become necessary when the route demands.